Last Thursday, Mamie and I had decided that it was high time for us to have a GNO (girls’ night out) and headed to the Queen City! 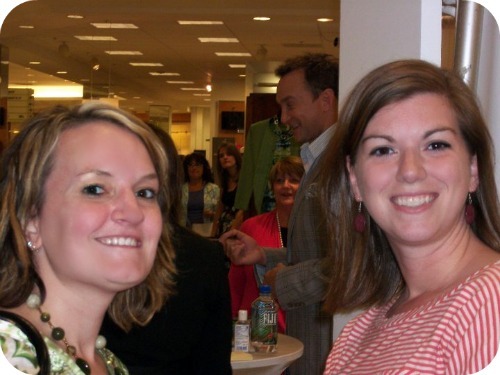 She had discovered that Clinton Kelly (from TLC’s What Not to Wear) was going to be at Macy’s in Southpark so we headed out for an evening of fun and hopefully some fashion advice! This was as close as we got but at least we got to see him in the flesh! He does talk with his hands as much in person as he does on the show! Don’t know why this one turned out so blurry! I then had the Spicy Chicken and rice (which was the GF version of General Tso’s Chicken) and it was so good! They give you a ton too! Both John & I had the leftovers for dinner the next night so while the entrees are pricey, they give you PLENTY of food! I was so stuffed that I didn’t get to try the GF dessert but next time, I will definitely save room! We had an amazing time! It was nice to get out of the house child-free and enjoy a night out with a girlfriend! Next time, we’re seeking out this Fuel Pizza for some gluten-free pizza! What did you finally decide to wear? Good times! Can’t wait for Fuel pizza……one of my favorites. Sounds like you had a GREAT night, despite not getting to talk one-on-one with Clinton. Although I don’t eat GF, it is great to know that their GF offering are tasty. Good for you! A girl’s night out sounds awesome. 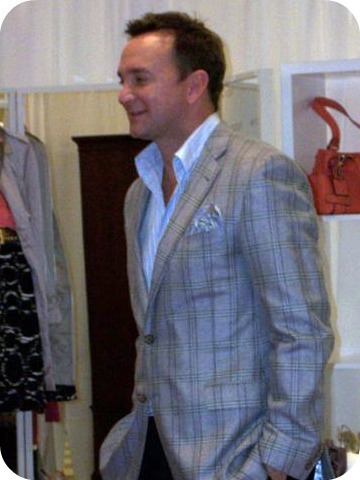 I really like Clinton Kelly, even though my own sense of fashion is severely lacking. How cool that you saw him in person. And PF Chang’s is great – I thought since it was a chain, the food probably wasn’t too good, but a friend took me there on a a visit to Oklahoma, and I loved it – those lettuce wraps are awesome! Glad you had a much-deserved night off! I would never be able to decide what to wear to see Clinton!!!! Looks like a fun night! I think we both went through several outfits before deciding! We can asking each other on twitter “what are you wearing?” Now I really want to get on the show! 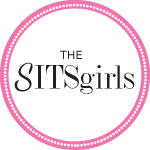 Thanks for stopping by my blog during last week’s SITS Comment Cocktail Hour! 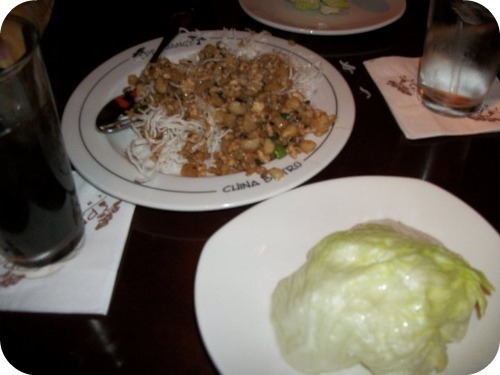 I totally love a good GNO & the lettuce wraps from PF Changs are my all time favorite! I just went out with some girlfriends & our kids to Pei Wei (the fast food version of PF) and had the lettuce wraps for lunch! Yum! I’d be afraid he’d whisk me off to the show! Or afraid that he wouldn’t??? Congrats on being 1st for comment hour! Found you from SITS comment hour! That is so awesome! What a great event- especially when you caught him by chance. Sounds like you had a great time. What fun! Loved the pictures! Glad you got to enjoy yourself! stopping by from the comment hour! That sounds like so much fun!! That is so cool you got so close to Clinton. I love What Not To Wear!! Stopping by from comment hour! you girls are SOOOO cute together! what a fun night!